Think like a multimillionaire: leave the 9 to 5 behind. The world has led you to believe that financial freedom is not something you can willfully create in your life. 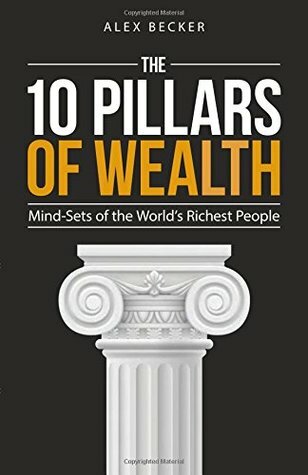 You have been taught to view wealth as something that happens only to a lucky few who win a random business lottery or are blessed with unimaginable talent. The TRUTH is that creating excessive financial wealth does not come down to luck or talent. It comes down simply to your beliefs, understanding, and views–the “pillars” that reinforce your every action. Alex Becker not only breaks down the most important pillars for you but also shows you how to bring them into your life TODAY to begin generating lifelong financial freedom. Discover how to: Successfully quit your 9 to 5 and take back your life without taking massive financial risks, Separate your time from money so that you are constantly getting paid (even in your sleep), Understand the lessons multimillionaires have learned through years of trial and error, Map out the exact steps needed to build million-dollar businesses, Skip time-wasting mistakes and learn how to make money quickly by focusing solely on what gets you paid.